Energy is one of the most important ingredients in the recipe for a productive and healthy lifestyle. But how do you know if you’re healthy or not? What is healthy? Reality check – nobody is going to give you a certificate that says you’re healthy. On the flip side, nobody is going to give you a warning when you start to let your health slip (unless of course you have to visit the doctor for some reason). When developing a healthy lifestyle, knowing the current state of your health is half the challenge. 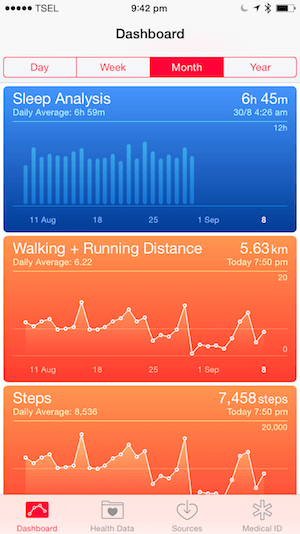 In this day and age, there are a number of great tools you can use to track your health. Tracking your health creates a clear picture of what your diet, sleep and exercise routines look like. This awareness is what gives you the power to make better decisions and improve your general energy. I recently wrote about how health is like a currency and the importance of making healthier decisions. In this blog post I’m going to outline the tools you can use for tracking your health so you can make better decisions around how to maximise your energy. These are the tools I use – but let me know if there are other tools you recommend in the comments below! The FitBit is a great entry level fitness device that tracks numerous key fitness stats. I use the FitBit Charge HR which tracks your heart rate, steps, flights climbed, sleep, calories burned, and distance covered. The sleep tracker in particular is really useful; not only can you see the total hours slept, you can see how many times during the night you were restless or awake. This is great for getting a better sense of the quality of your sleep. If you’re seeing lots of blips that indicate restless sleep, you can find ways to improve the quality of your sleep. Have a look at Sleep Smarter for some great tips on how to do this. By tracking your heart rate and steps taken, the FitBit gives you a very clear picture of how active your lifestyle is. People have asked me if the FitBit is worth getting. Purely for the awareness it gives you I think it’s well worth the small investment. I can safely say that since having a clearer picture of how active I am during the week I have made healthier decisions. For example, if I’ve had a particularly lazy week I’ll know about it and make an effort to go running at the weekend. 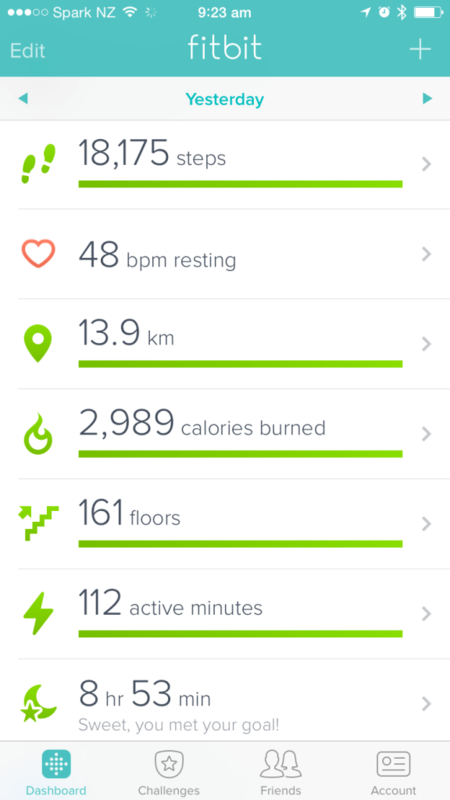 All of the key stats that the FitBit records are stored on your personal FitBit account. The FitBit app is extremely well designed and makes it very easy to understand the data and helps you make better decisions because of it. This one device has had a profound impact on my life and the clarity it gives you is invaluable. I highly recommend the FitBit to anyone who is considering getting some sort of fitness tracker. This popular smartphone app is great for tracking your diet and for seeing what you’re really eating. Inputting your meals and snacks can be a little tedious in the beginning, but gets easier. You can create recipes for common meals you consume and even scan product barcodes to find specific items. I eat the same thing on a regular basis meaning I can import the snacks or breakfast from yesterday with a few taps and I’m done. MyFitnessPal imports all the nutritional information from the food you eat so you can see how much sugar, fat, protein, carbohydrates and essential vitamins you’re consuming on a daily basis. When you want to make changes to how you eat, being able to see the impact of these changes in your MyFitnessPal account is really handy. I recommend connecting your FitBit account to MyFitnessPal. 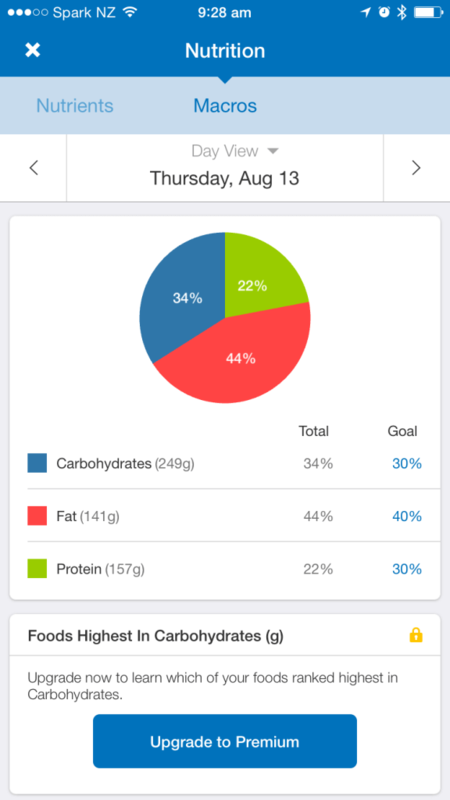 This allows you to see things like you’re weight, steps and active calories alongside the calories you’ve consumed. MyFitnessPal will then adjust your calorie goal for the day depending on how active you;’ve been. So if you go for a run, this will be reflected in your MyFitnessPal account and you’ll have to consume more calories to account for this additional activity. If you’re following a strict diet or if you’re aiming for a specific calorie intake, then MyFitnessPal is a must. Plus it’s completely free, so there’s no reason not to give it a go. The FitBit Aria scales are pretty much what they sound like – they’re scales. But not just ordinary scales. 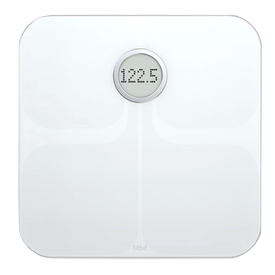 These scales connect to your home wifi network and sync your weight and body fat percentage to your FitBit account – cool right! It’s a bit of a luxury item and isn’t completely necessary. But we got our scales as a wedding gift, which was awesome (thanks Dylan). The scales are super smart and can detect who’s standing on them so it can sync your weight to the right FitBit account. I even tested this with my twin brother who is a similar weight to me and it could recognise when I was on the scales and when we swapped. There’s no fooling these scales – they’re completely twin proof. Because Aria is connected to your FitBit account which has your height stored recorded, it can then calculate your body fat percentage and show you this on the display. This is ideal if you’re looking to achieve a very specific body fat goal. Don’t worry, if you don’t want to shell out for the FitBit scales, you can input your weight manually into your FitBit or MyFitnessPal accounts. With all your key data inputted using third party apps and the FitBit devices, you can then sync this information to the Health app on your iPhone where you can see everything in one place. Health creates a dashboard of your overall health so you can see all of the key sleep, diet and exercise metrics without switching between apps. This is done by connecting your MyFitnessPal and FitBit accounts to the Health app. FitBit doesn’t actually support this feature, so I use an app called SynSolver to get around this problem. The nice thing about the Health app is that it creates a very clear picture of your sleep, diet and exercise habits over the last week, month or even the whole year. It can be tricky viewing historical trends in the MyFitnessPal and FitBit apps, but Health spells things out really easily. So you can literally see when you were less active and how this impacted your weight and sleep. 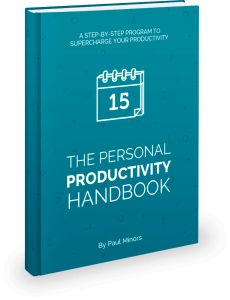 If you want to learn more about how to manage your energy so you can become a more productive person, check out my Personal Productivity Toolkit. I hope you can now appreciate the importance of managing your energy and how easy it is to make positive changes in your routine. Getting comfortable with these apps may take a few days, but once you’ve got this system set up, it’s very easy to maintain. With a few simple changes to how you sleep, eat and exercise you can create a more productive and healthy lifestyle. There’s no excuse not to get started today and you’ll be amazed at how beneficial a healthy routine can benefit your productivity. That said, I have just told you to optimise three massive areas of your life. The key is to be able to sustain these habits, so start with small changes and gradually work on improving your sleep, exercise and diet slowly over time. Let me know if you have any questions about these apps or how this system works in the comments below!